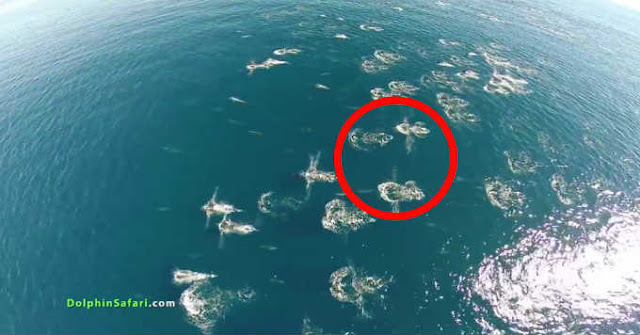 A Drone Captured This Rare And Unusual Event Happening In The Ocean. You Have To See This! Home » other » A Drone Captured This Rare And Unusual Event Happening In The Ocean. You Have To See This! According to N.O.A.A. Southern California has the greatest density of dolphins in the world. They have pods up to 10,000 strong stretched out for miles like the wildebeests of Africa. Over 400,000 common dolphin alone. They also have the largest concentration of blue whales on earth.